Konrad Corporation has been designing, manufacturing and refurbishing equipment for the Steel Mill Industry since 1967. We have an excellent engineering staff and experienced machinists and assemblers, so we can work with your drawings or reverse engineer parts without drawings. Konrad Corporation's patented 2-piece Rayzer Block replacement carrier blocks for Marquip Splicers can save you up to 75% of maintenance down time since there is no need to remove the lead screw. 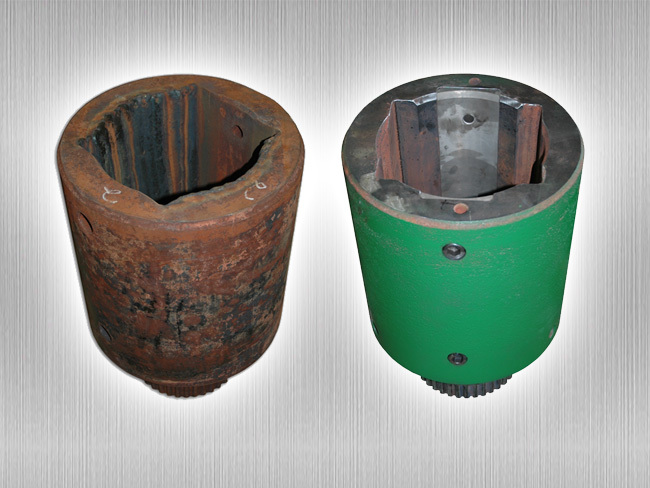 We also offer carrier block bushings, lead screws and reverse engineering of other components. If it's broke - Konrad can fix it! Trust our 50 years of experience repairing and refurbishing steel mill and other industrial equipment and save up to 50% over new. We can help reduce both the time and cost of maintenance by keeping your older equipment running longer. 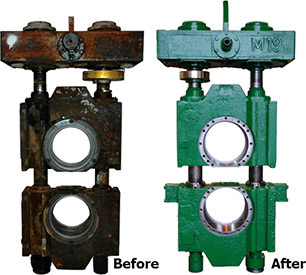 Konrad Corporation is a flexible and responsive manufacturer of industrial equipment assemblies and components. Our knowledgeable engineers, machinists and sales represenetatives are available to assist you throughout the manufacture, assembly and/or repair of your equipment.